There's no easy road to fusion. Whether one travels the large route forged by six decades of research on hundreds of machines, or whether one tries to open a way through uncharted and exotic territory, difficulties abound and challenges loom large. Over the past few years, several private sector startups have raised enough capital to launch their scientists and engineers into the race to harness fusion power. Tri Alpha Energy and Helion Energy in the US; Tokamak Energy and First Light Fusion in the UK; General Fusion in Canada and scores of others ... all claim they can deliver within the coming decade. How they can succeed with a few tens or hundreds of million dollars in investment and a workforce that rarely exceeds a few dozen specialists is an open question—one that everyone present in the ITER amphitheatre on Monday 23 January had in mind. The guest that day was physicist Michel Laberge, founder and chief scientist of General Fusion, the company that boasts it is ─ in the present tense ─ "transforming the world's energy supply with clean, safe and abundant fusion energy". 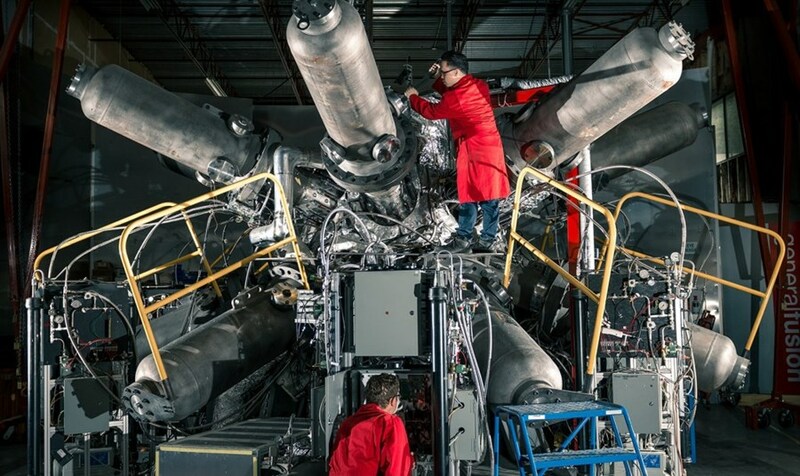 There is a world, of course, between the claim inscribed on the opening page of General Fusion's website and the present status of the company's research and experimentation. Facing a receptive and curious audience of fusion specialists, Laberge didn't seek to minimize the technical challenges his company is facing. 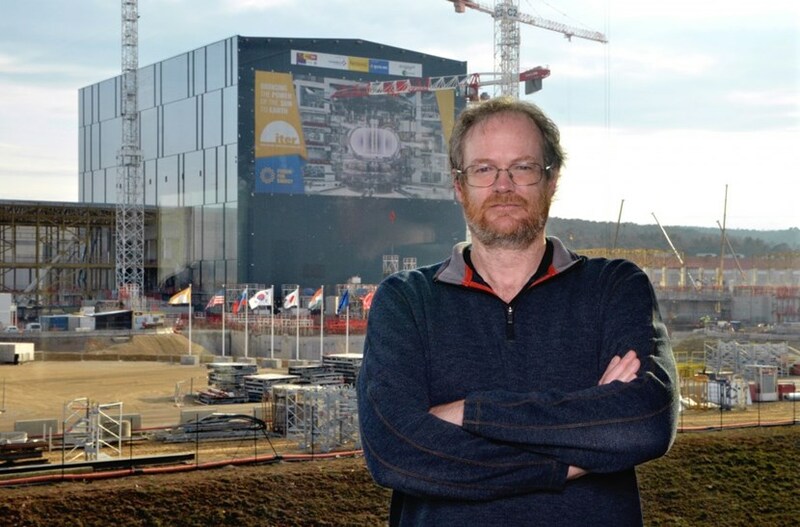 Physicist Michel Laberge, founder and chief scientist of General Fusion, didn't seek to minimize the technical challenges his company is facing. The concept, called "magnetized target fusion" originated in the mid-1970s. It combines features of magnetic confinement fusion (like in ITER and other tokamaks) and inertial confinement fusion (like in the US National Ignition Facility or the French Laser Mégajoule). "We aim to do fusion somewhere in the middle ground," said Laberge in his introduction. Supported by detailed graphs, high-speed videos and precise figures, his presentation and the ensuing exchanges were highly technical and at no moment was there any hint of condescendence or irony—from either side of the podium. The encounter between the largest science project on the planet and a small, determined startup in western Canada, demonstrated that, at the end of the day, the fusion community—dreamers, explorers, experimenters—is really just one.